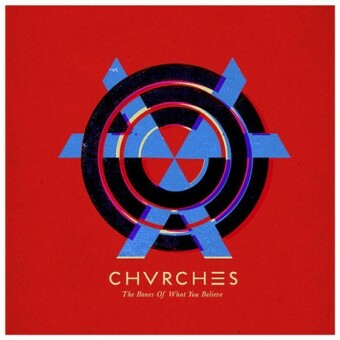 Glossy and upbeat is a new look for Scottish music, but CHVRCHES pull it off with emotional force. Rather than dwell solely in the dour domain of fellow countrymen as Frightened Rabbit or the Twilight Sad, CHVRCHES packs a synth-pop wallop more in line with M83, those French devotees of 1980s glam. With Lauren Mayberry fronting, the band’s debut album The Bones Of What You Believe comes across as aggressive, vulnerable, beautiful, and somehow intimate among its shimmering electronics. Lead single “The Mother We Share” begins with bombast, and the high production values lead to sleek, shining music with nothing lost in the mix. This can only benefit CHVRCHES, as even their bright, catchy, choruses find melody from layer upon layer of voices and keyboards. A certain shock comes from hearing her smooth voice slip in an f-bomb, but we shouldn’t be surprised: Like Metric’s Emily Haines, Mayberry is vicious when provoked. As such, the beat picks up in “We Sink,” which finds Mayberry declaring, “I’ll be a thorn in your side until you die” as drum machines pummel the fuzzy soundscape. “Gun” is just as assertive, taunting the subject with retribution. But thinking Mayberry’s gun is only a metaphorical stand-in would be a mistake – she is literally hunting someone down and she makes the “Pumped Up Kicks” narrator seem forgiving. CHVRCHES achieve loveliness just as often, while never drifting into melodically ambiguous, ethereal space. Amplified by the blasts of synth and the yelps of electronics, The Bones Of What You Believe is really a force of nature.